Out with the old and in with the new! 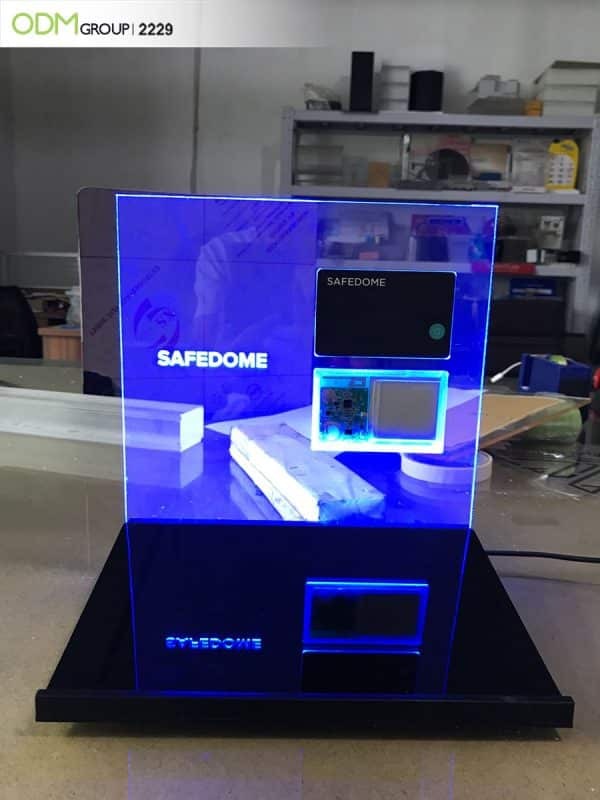 Check out this awesome LED POS display that we designed and manufactured for the world’s slimmest bluetooth tracker company Safedome. 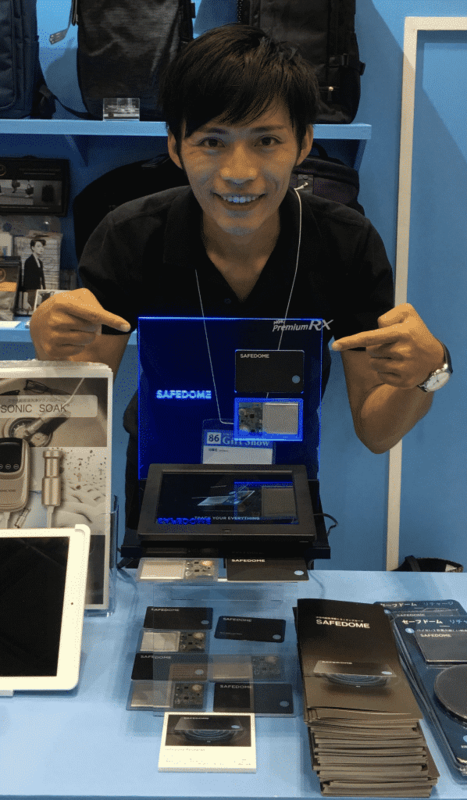 Safedome is a slim card that connects to your iOS or Android phone via Bluetooth and alerts you if your wallet or other possessions such as handbag, sunglasses case or passport case is at risk. 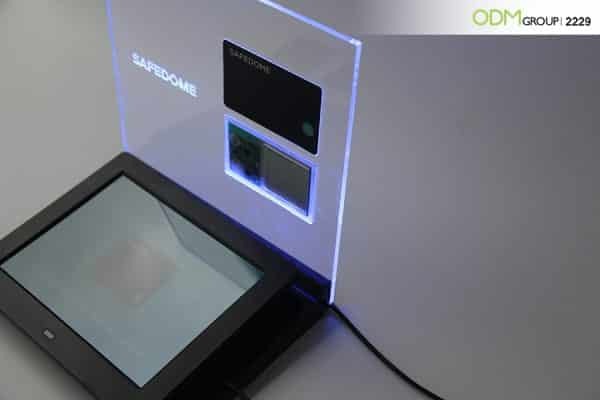 Unlike simple tracking apps and devices, Safedome is active. It knows your item is missing before you do, and makes sure you’re alerted quickly. 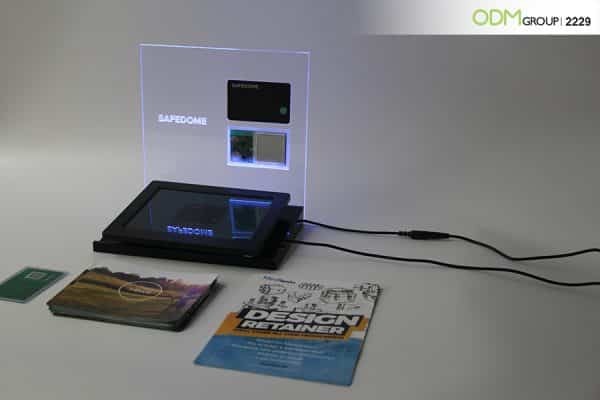 This particular POS display features the Safedome card, the intricate inside of of the the cards and the brand logo. This goes to demonstrated that less really is more. Customers who see this design will leave thinking of the design as sophisticated and clean. They will develop similar connotations to the company business, enhancing the brand remembrance. 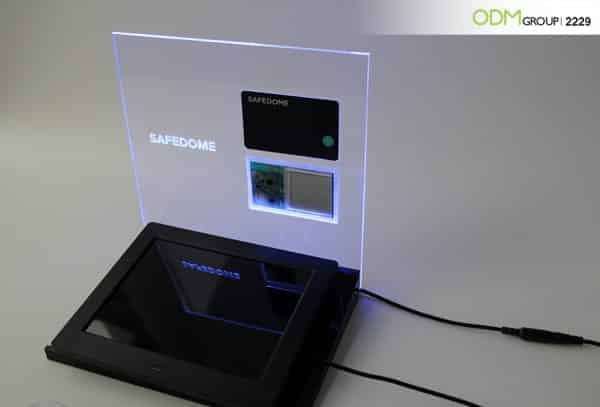 Supporting a cool, innovative and technological design, it’s no surprise that Safedome have selected to use a similar POS Display. The world’s slimmest bluetooth tracker company has also opted for a thin POS Display design. 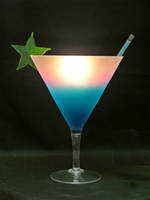 This particular design is formed of illuminating an acrylic embossed design with blue LED lights that are easily plugged in. 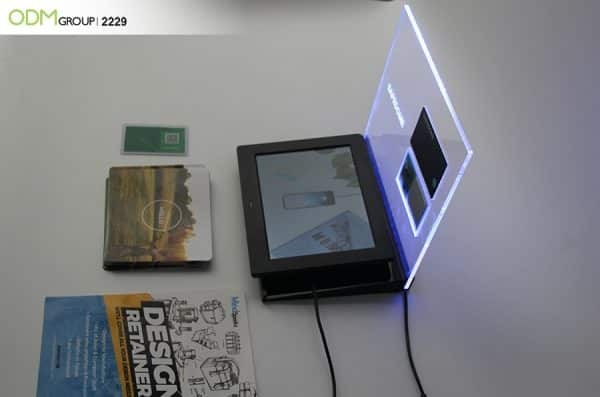 The cards were embedded in the acrylic showing 1 think credit card style card and one see through card so you can see all the electronics. The design, size of the POS Display and lighting colour is completely down to the customers desire and we can tailor this product to your exact needs. They have chosen to support this LED POS Display with a Video POS Display underneath, which shows a running advert of their product. This will be a fantastic and memorable item to use at trade shows. So let this item provide some inspiration for your trade show marketing ideas. Customisable: The POS Display can be made from different types of materials, such as wood, plastic or cardboard to suit your marketing budget. As aforementioned, we can design the height, width and LED light colour exactly to your company desire. Having a light colour that matches your brand would be a great method to extend your brand reputation and remembrance. Carlsberg, for example, could opt for a green LED lighting to remain consistent with their brand colouring. Building A Reputation: The main point of POS displays are that these are not only meant to sell and advertise your product, but to sell your brand to prospective customers. They certainly are vital to get right as this is the first interaction a customer may have with your product. As a result a POS Display will be formative in building the customer’s opinion of your brand. 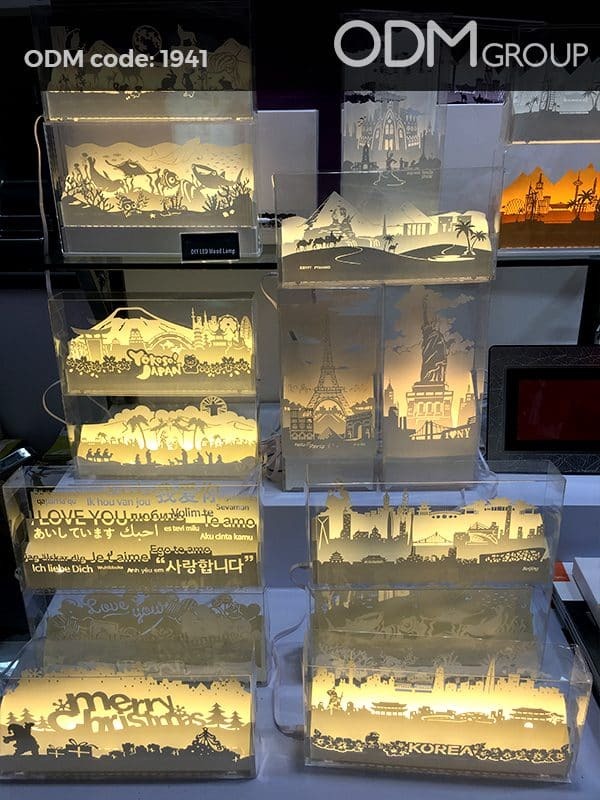 This LED POS Display is unique, stylish and memorable – all good connotations to be linked with your brand. So… could your company benefit from an LED POS Display? How could lighting enhance your brand remembrance? Here at the ODM we have an expert team of designers and manufactures that can produce products exactly to your desire. So get in contact with us today – we’d love to hear from you!